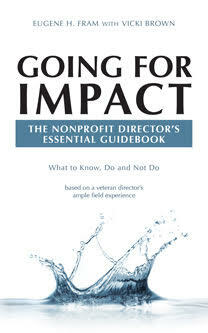 How Does A Nonprofit CEO Decline Board Advice? How does a president/CEO turn down advice about operations or internal structure from the board. With difficulty. It all depends on the type of culture that has been established by the board. Ideally, the president/CEO should be comfortable saying, “Thank you for your suggestions. I have considered them, but I feel these matters should be handled differently.” For example, on one board on which I served, the board wanted the president/CEO to employ a COO because the CEO traveled extensively and many board members felt he needed more internal help. The CEO was an entrepreneurial type who conscientiously felt that the budget approved by he and the board precluded employing a COO. It took about four years to motivate him to make this internal change. It turned out to be a highly successful one. In this case, a culture of mutual trust was present so that the board accepted his rationale for such a long time period. Source: Eugene Fram with Vicki Brown, Policy vs. Paper Clips, Third Edition, 2011, pp. 226-227. See Also:Eugene Fram, “The Special Relationship Nurturing the CEO-Board Chair Bond,” Nonprofit World, November/December 2011, pp.8-9. Eugene Fram, “What’s in a Name? Benefits of the President/CEO Title,” Nonprofit Director, Alliance for Children & Families website, May 24 2010. ← Can a Board Member Ever Hold a Staff Position in The Same Nonprofit Organization?